Barefoot to Goa is an indie film written, directed and co-produced by the Mumbai-based independent filmmaker Praveen Morchhale. 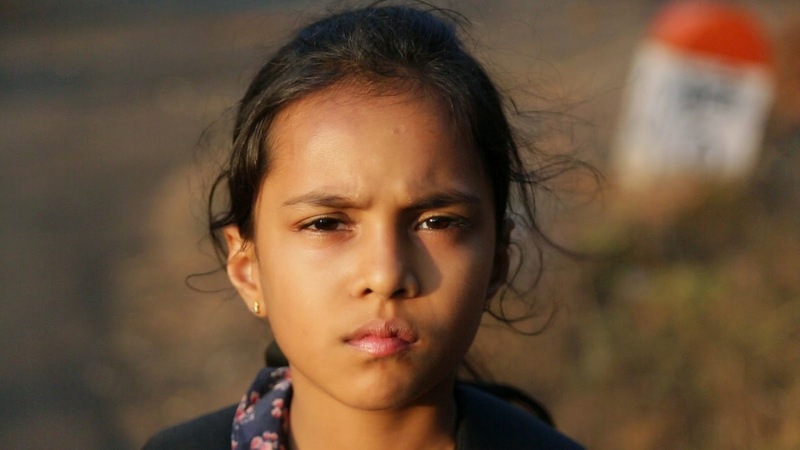 Morchale’s debut film, Barefoot to Goa was in competition at the 2013 Mumbai Film Festival in its Celebrate Age section. 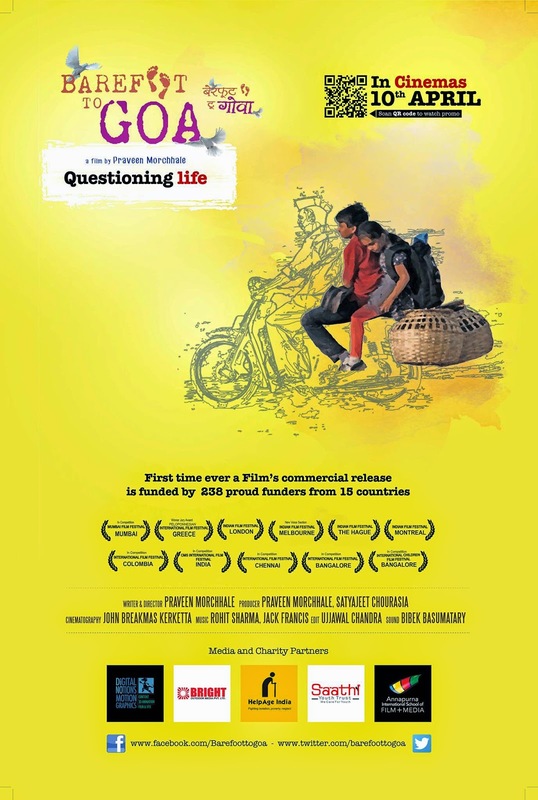 After having collected accolades at 12 film festivals in India and abroad, the makers are finally releasing the film in cinemas across North and North-West India on April 10, 2015 through Proud Funding—an innovative Profit Sharing and Refundable Crowd Funding model (the tickets can be booked from in.bookmyshow.com). For the rest of the country, the movie is getting released a week later i.e. April 17, 2015. While I have already had the pleasure of watching the film back in October 2013 (fortunately, I was among the first few critics in India to review Barefoot to Goa), I am quite eager to watch it again on the big screen. Barefoot to Goa also marks the return of veteran playback singer K. J. Yesudas to Hindi cinema after a hiatus of 20 years with the legendary vocalist recording the song “Naina Do Nyare” for the film. On the face of it, Barefoot to Goa is a tale of two siblings—an eleven year old boy named Prakhar and his nine year old precocious sister, Diya—who witness the loss of innocence during a life-changing road trip they undertake, stepping out of their cocooned environment for the very first time in their lives, in order to meet their ailing, abandoned grandmother. But, in its essence, Morchhale’s film is a social commentary on the great rural-urban divide in India. Morchhale limns a vivid canvas to depict the dichotomy between the two Indias and the manner in which their inhabitants think, behave, act, and live. 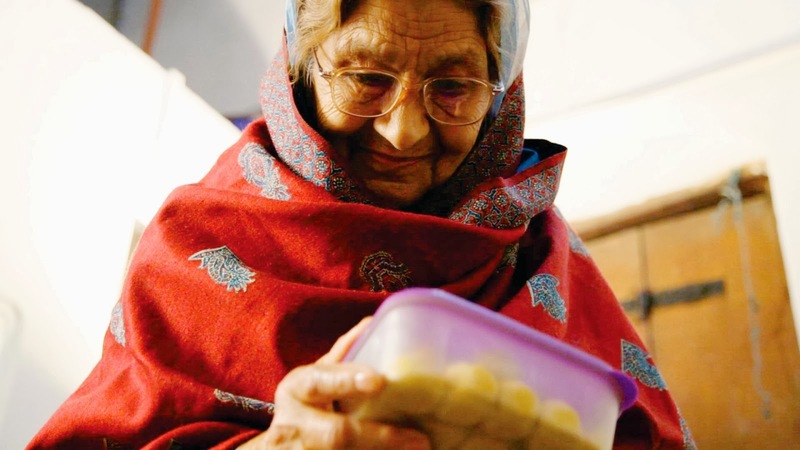 How a selfish daughter-in-law living in the comfort of a middleclass urban settlement deliberately tries to cut all the ties between her husband and his aging mother. How a destitute, deaf-and-dumb rural couple selflessly shower their hospitality on total strangers. Barefoot to Goa closely examines, through its characters, the three different stages of the human life-cycle: childhood, middle-age, and dotage. It's a cinematic essay that celebrates the innocence of the young, mocks the indifference of the grownups, and mourns the loneliness of the old. Morchhale’s film serves to be a parable on the moribund human bonds in a fast-paced world. As an exemplum of our urban society's moral and cultural decadence, Barefoot to Goa is a warning that poignantly highlights the futility of life and death. And, yet, it's a movie that's full of hope for the whole of mankind. In its short runtime of 80 minutes, the movie touches upon several complex motifs that deal with life and humanity at large. It is for all these reasons that one just cannot regard Barefoot to Goa as a run-of-the-mill children's film. We are introduced to a precocious little girl of nine who epitomizes the unbridled innocence of childhood that would tug at our heartstrings. Her resolve and strong headedness make her an object of envy and a symbol of courage not only for her eleven year old brother but also for those adults who fail to muster the courage when the going gets tough. She is the proverbial pocket size dynamite in more ways than we can possibly imagine. To watch this young upstart experience a loss of innocence as she steps out of her cocooned environment, accompanied by her brother, in search of her ailing, abandoned grandmother is nothing short of a pure cinematic treat. 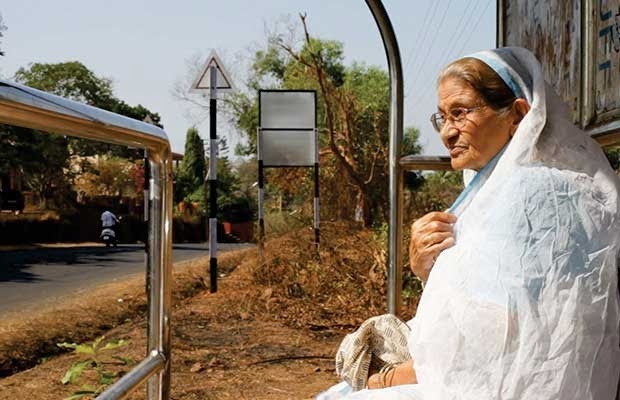 Overall, Barefoot to Goa is a profound work of cinema that needs to be watched by everyone who loves and admires filmmaking that’s both honest and pristine. Morchhale’s film can be deemed brilliant on both the technical and emotional fronts, especially given the budget constraints that one often associates with an indie feature film. Morchhale uses minimal dialogue and mostly relies on his powerful imagery to convey the message to his audience. The characters written by Morchhale are quite memorable and the actors who play them help them bring to life. Morchhale needs to be commended for eliciting such convincing performances from his actors, especially the two young leads who play siblings. 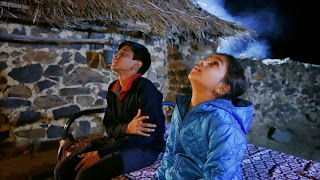 The road trip that the two kids take comes across as such a rich and powerful experience for the viewers that some of the scenes are likely to stay with them forever. While the movie’s soothing background music immensely adds to its poignant feel, the editing as well as cinematography is top draw. Barefoot to Goa can definitely prove to be a cathartic experience for those on the lookout for something to soothe their senses. The movie is a must watch, especially for those who love their elders and value the familial bonds and ties that give live its true meaning. Your blog is in my blogs list in order by the most recently updated. Thanks Emmanuel for featuring it in your bloglist! Once again he done it with this movie.....he is the master of his craft. Again and again he do it with his best & every time I wondering how ? Hats off Nawazuddin Siddiqui. This time it is 'Liak'. Everyone justify their respective roles, but he again steal the show. After came out from the theater I remember 'Liak' more than 'Raghu'. Like this movie for showing a new perspective of 'Revenge'. Its a slow paced film. So if anyone like to see a revenge story with high voltage drama, thrill or action....its not for them. I couldn't have agreed more, Chandan... Nawazuddin Siddiqui was once again brilliant and people don't compare him with the great Naseerudding Shah for no reason. As for the film, I feel Sriram Raghavan is a great filmmaker and there are few in this country who can approach such complex themes with such finesse and panache. Badlapur is certainly a breath of fresh air for Hindi cinema. Yes, Mr. Raghavan proves himself before, but this time he did something above the mark and with this he set a benchmark for himself too. N yes I agree with you that this kind of cinema really make a difference in Hindi or in larger context, Indian cinema. excellent review- one question . are you comfortable if a director takes a character's name and brings in a completely new storyline the way say a Guy Ritchie has done ? In that case, is it even fair to compare betwen the film's character and novel's character and pass comments as some reviewers have done in this case? Well, as I mentioned in my review, the purists will certainly not appreciate Banerjee's rendition. And it's absolutely fine... Dibakar here has done everything to annoy the traditional Byomkesh Bakshi fans and maybe he went a bit too far given the attachment of the Bangla people to their literary characters (even Ray's son wasn't spared for what he did to Feluda). The only way to appreciate this movie is to treat it as a separate entity... Dibakar too primarily was targeting the new audience... as for the enthusiasts, it's certainly an insult of sorts but I for one (as a film critic) had to assess it from the cinematic point of view and so I couldn't help but appreciate the maker's vision. Well, the noir influences are all over the movie and I just don't mean Private Eyes or Femme Fatales. The brooding mood, the brewing tension, the nauseating smoke, the seductive air and the deceptive shadows are all film noir signatures. It's amazing that Dibakar himself denied the film noir influence on DBB in an interview to The Hindu. Maybe, he didn't want to overwhelm the Indian audience or maybe he wanted to appear more original in the eyes of the media after Shanghai which we all know was a rip off of Z. It's quite interesting that two major Bollywood productions delved into the noir territory: first Badlapur and then DBB. But, in terms of pure Film Noir experience, I will certainly rate DBB higher. Mind it, since it was not shot in B&W, it cannot be described as a perfect film noir and since the setting is early 40s, it would be difficult to call it neo-noir (it is a whodunit but again not a typical one as there is more suspense than mystery) and so I think it's not a very easy thing to classify. Nonetheless, it is heartening to see the contemporary Hindi cinema finally come of age.